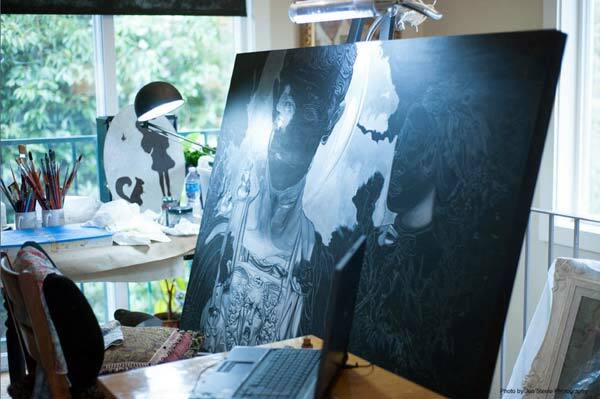 Having decided to make a career switch a few years ago (previously she ran a successful technology company, Star Global), she taught herself to paint by copying masters such as Ingres and Raphael. 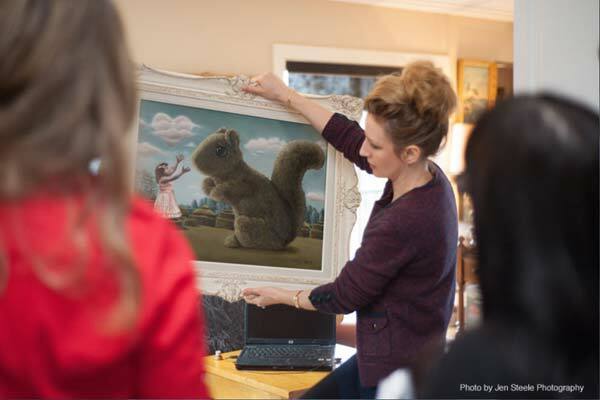 She added a squirrel to the first of these paintings, then the squirrels themselves became the focus. 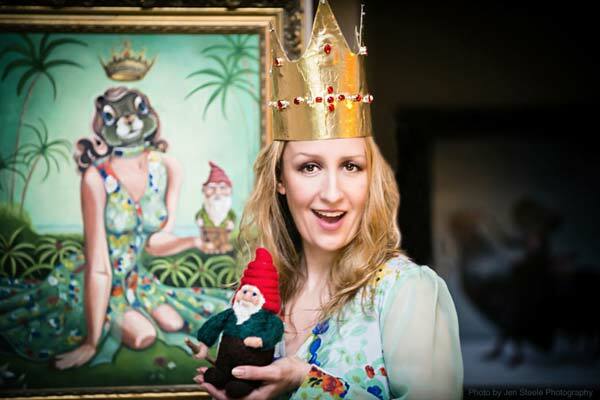 She is now known for her compelling images of the inhabitants of an imaginary world – hybrids of humans and squirrels, often dressed in elaborate costumes. 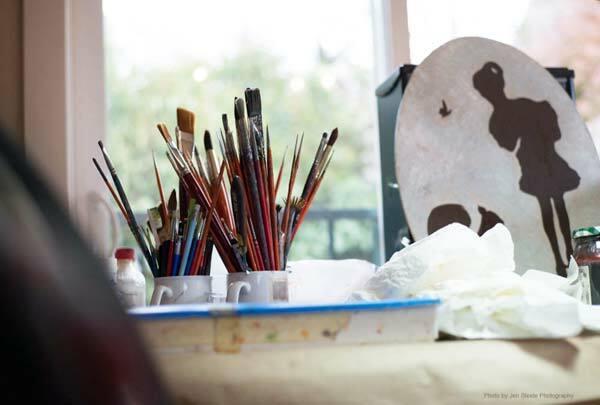 Recently I was invited, along with Ellen Manning and Stephanie Eisenbraun from The Apartment Gallery, for an afternoon visit to Carollyne’s beautiful home and studio in a leafy Victoria neighbourhood. We were joined by photographer Jen Steele, who took the photos you see here. Carollyne and her husband, Lawrence, have lived in the house for five years. 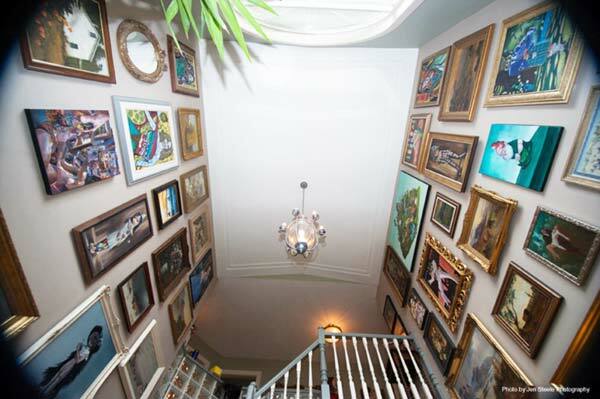 The stunning, soaring entryway is lined with paintings, the collection of images in ornate frames (she collects second-hand ones) giving an eclectic feeling of vintage elegance. The studio space is adjacent to the main living area of the home. Carollyne spends six to eight hours per day here. “I’ll start painting at one in the afternoon, that’s my favourite time,” she says. Before settling down to work she makes sure she has “tea, lots of liquids, sometimes a piece of chocolate or popcorn or something. I get my painting clothes on, and make sure everything is where it should be, so I won’t have to stop and look for something. Sometimes I have headphones on and listen to music, so I’ll keep it close by. I keep my iPhone close so I can check Facebook and Twitter all day, because I’m an addict! Soy based, food grade quality brush cleaner is a necessity, due to the location of her studio in the house. “We’re living here next to where I paint, so I can’t be using the combustible, bad stuff.” The greenness of the studio, in fact, extends straight through to the recycled frames she uses. 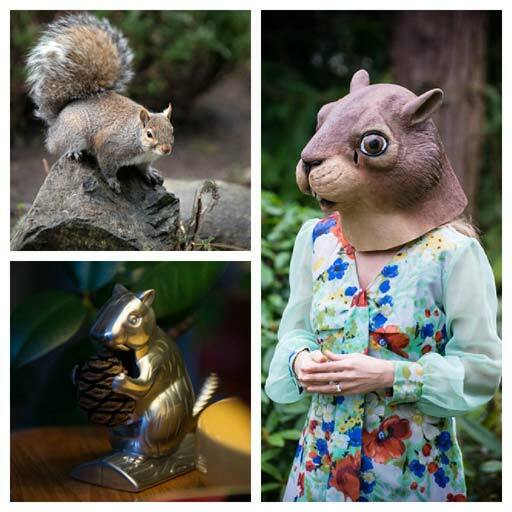 Thank you, Carollyne, for this exclusive peek behind the squirrel mask! Thanks also to The Apartment Gallery for arranging the studio tour, and Jen Steele for the beautiful images. Please check out their web sites! 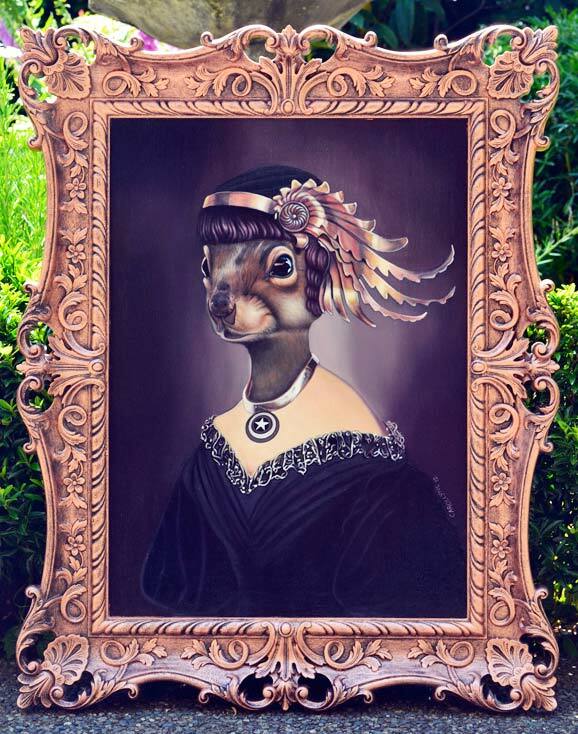 Carollyne’s work will be featured in the upcoming exhibit “Romancing the Squirrel – A Retrospective” at The Apartment Gallery in Victoria BC (February 22 through April 1). You can also view her work on her web site and keep up with her news on her Facebook page. “The Avenger” image courtesy of Carolynne Yardley. 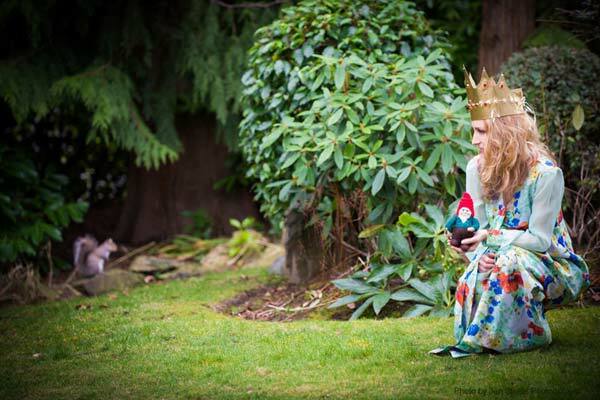 All other photos by Jen Steele Photography. It never ceases to amaze where creative inspiration comes from, and how our lives converge into meaningful expressions based upon such seemingly insignificant details as the view out our window, the type of clothes we choose to wear. Thank you for sharing a very inspiring article with wonderful photographs. And, thanks to you, I know of more great talent among Canadian women.